I worked in a private company from 2008. resigned may 2014 due to difficult pregnancy. gave birth december 12,2014. can i use philhealth? Hi acelyn, if you did not pay 3 months within June to Nov 2014, sorry no you cannot use philhealth. 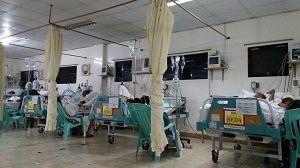 and Philhealth deduction must be done before discharge. Im a beneficiary of my husband. My due is on june 8 2015 via Cs. His last paypent was sept 2014. What month should we pay to avail the benefits? Hi cathy, pay for Jan to March asap, and then pay for Apr to June in April, or pay Jan to June asap.